Blogging is an excellent money-making opportunity. Many bloggers post monthly “income reports” where they report hundreds, even thousands of dollars income simply from blogging. Income like this does not just happen: it is the result of intentional and strategic work over time. It happens when bloggers find their perfect niche, and the perfect affiliate programs for their target market. Think of affiliate marketing as seeds in a forest: thousands of seeds will fall on the forest floor. Some will grow; others will rot. It’s right place and right time (and we’re using a random example here, rather than strategically placed links). It takes time, but these seeds grow into a mighty forest. Well-placed affiliate links can result in high results. 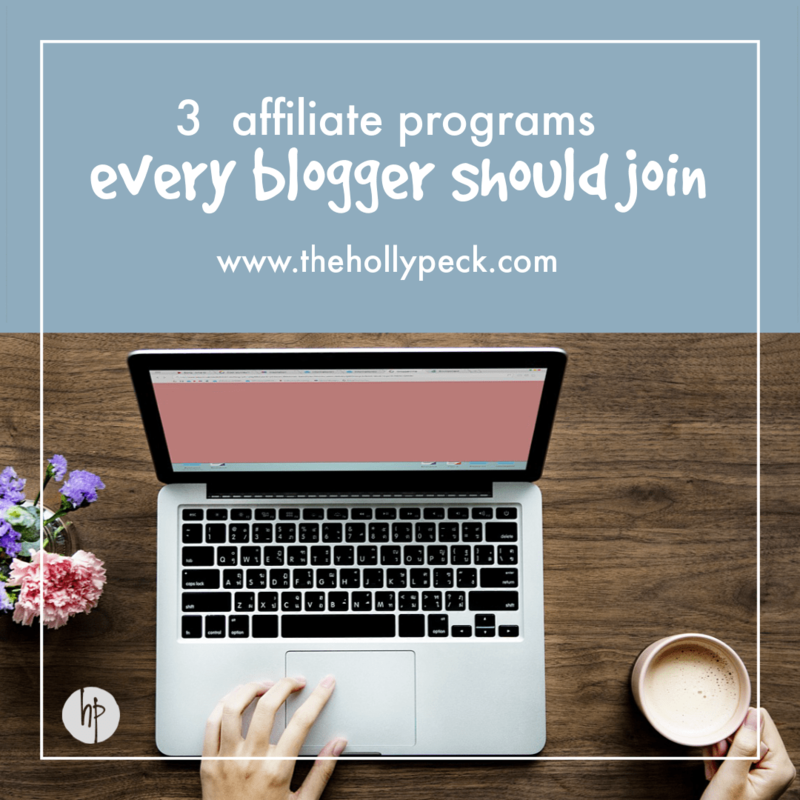 There are 3 affiliate programs that every blogger should join, and let me tell you why. A: Almost everything that a human needs to live can be purchased on Amazon. That’s right, friends. The Amazon affiliate program is an excellent affiliate program. Whether you blog about nail polish, clothing, coffee, banking and finance, unicorns, cooking, social issues – you name it, you can find products on Amazon that appeal to your target audience. How it works: you apply for the Amazon Associates program, and once you are accepted, you will see a strip at the top of your Amazon account. When you find the product you want to link to for your blog post, grab your unique affiliate link from the top bar, and put it in your blog post. Note: don’t be shady. Amazon wants to see where links come from. Don’t hide them in “pretty links” that mask the fact it is a pretty link. Folks should be able to mouse over the link and see that there is an affiliate code in there. A: ShareaSale allows bloggers to have strategic partnerships with companies, products, or services that they use on a daily basis to promote on their blog. Many bloggers opt for ShareaSale rather than Google Ads (that’s a blog post for another day). Oh, and did I mention, ShareaSale has their own affiliate program? Get a dollar for each lead you send to ShareaSale (yeah, you know already – all the times ShareaSale is hyperlinked is an affiliate link, so go ahead, you know you’re intrigued and want to apply). The best part of ShareaSale is that bloggers can use the prime real estate in their sidebars to earn income without going with the gamble that is Google ads. Bluntly speaking, as an end user, I do not prefer Google ads (they are coming off my site soon). The payoff for Google ads is low for a beginning blogger, plus, they are targeted to customers. Let’s assume that I write a blog post about my website hosting, and my reader has been searching for new hosting. They read my post (with affiliate links) but Google presents a targeted ad with a different hosting company. That ends up appearing as a conflict of interest. ShareaSale allows bloggers the freedom to control the “ads” that appear to their readers so that they are strategic and targeted. Go ahead, you know you want to. Apply here; what can go wrong? A: Hosting has the potential to bring high payouts for successful affiliate bloggers. I have not done extensive and detailed research into this, however, many bloggers that are successful in affiliate marketing have affiliate links for their blog hosting. Many income reports that I have skimmed in searching for “how to make money blogging” specifically mention hosting, which makes sense. 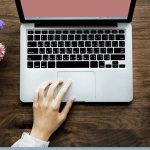 As I continue to build my audience and connections in the blogging world, and encourage new bloggers in their blogging journey, I must strategically place myself in a position to be able to passively leverage that influence. Hosting provides an excellent opportunity to grow that income. 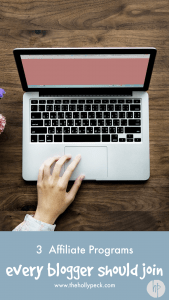 Those are my top three affiliate programs that every blogger should participate in – what affiliate programs do you use? What do you recommend? Let me know in the comments; I’d love to hear!